0800 074 6104 or 01503 232 959. 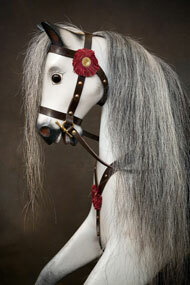 We're a friendly bunch and love talking rocking horses! 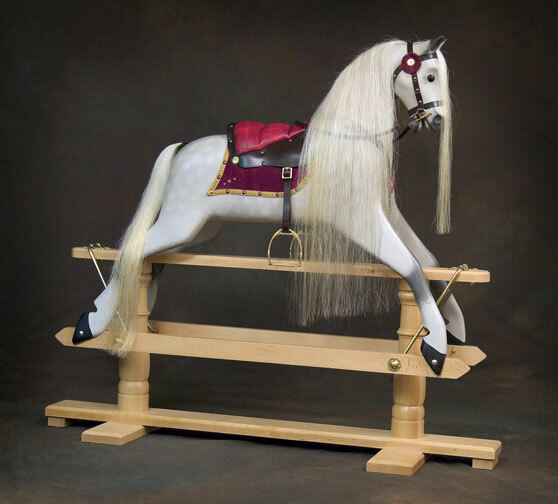 The Ringinglow Rocking Horse Company manufacture and sell the nicest and friendliest faced traditional wooden rocking horses in the world, for you to buy. We supply many of the worlds' largest retailers including: John Lewis, Hamleys and Harrods, or you can buy directly from us! Hand finished in the UK from the finest woods these hierlooms will last for generations to come. Please do compare us to others, you will find we're the best value. 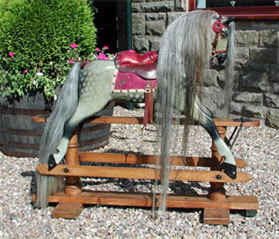 We keep small stocks of all the rocking horses, as you can see below. Same Day and Next Day delivery is available. We're also happy to store until a required delivery date. 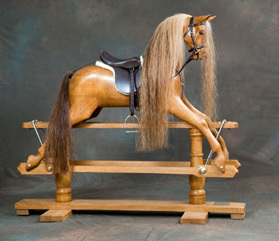 These are the best and the best selling rocking horses in the country, please beware cheap foreign imitations. 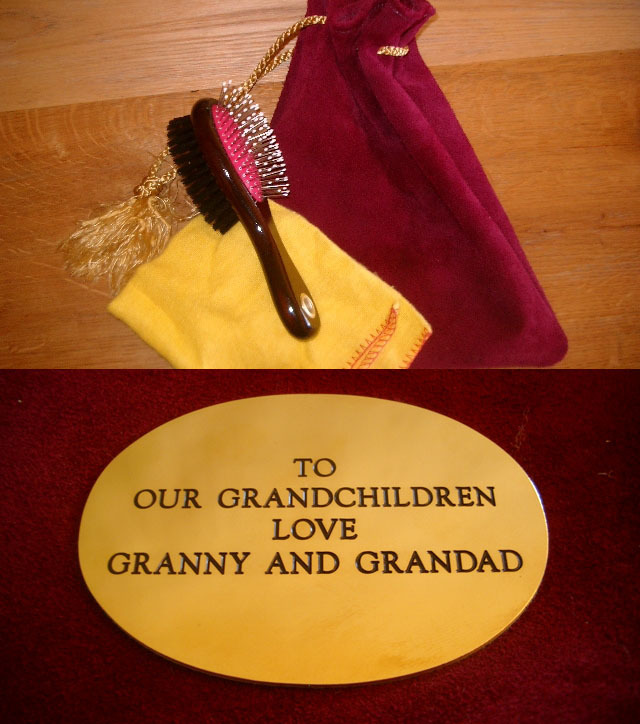 All new wooden rocking horses come with a personalised brass plaque engraved with the message of your choice and a complimentary suede care bag with hair brush and cleaning cloth, to keep your lovely horse looking their best. 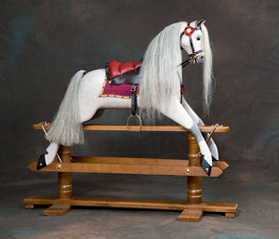 The most popular rocking horse in the World. With elegant lines and smooth curves, the Rivelin’s flowing form will grace any home. Mischievous and full of personality, the Rivelin is sure to become an irreplaceable part of your family. Playful and boisterous, the Rivelin is ready to whisk you off on the most exciting journeys. 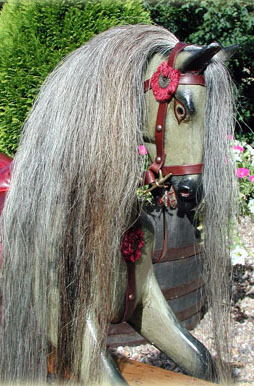 Friendly dapple grey Rocking Horse. The most popular rocking horse in the World. With elegant lines and smooth curves, this Rivelin’s flowing form and removable saddlery, will grace any home. Mischievous and full of personality, the Rivelin is sure to become an irreplaceable part of your family. Playful and boisterous, the Rivelin is ready to whisk you off on the most exciting journeys. 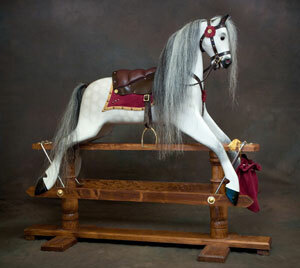 The most popular rocking horse in the World. With elegant lines and smooth curves, this Rivelin’s flowing form and darker coloured hair , will grace any home. Mischievous and full of personality, the Rivelin is sure to become an irreplaceable part of your family. Playful and boisterous, the Rivelin is ready to whisk you off on the most exciting journeys. The most popular rocking horse in the World. With elegant lines and smooth curves, this Rivelin’s flowing form and light varnished wood with light varnished stand , will grace any home. Mischievous and full of personality, the Rivelin is sure to become an irreplaceable part of your family. Playful and boisterous, the Rivelin is ready to whisk you off on the most exciting journeys. The most popular rocking horse in the World. With elegant lines and smooth curves, this Rivelin’s flowing form and medium varnished wood with medium varnished stand, will grace any home. Mischievous and full of personality, the Rivelin is sure to become an irreplaceable part of your family. Playful and boisterous, the Rivelin is ready to whisk you off on the most exciting journeys. 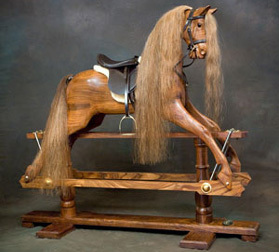 The most popular rocking horse in the World. With elegant lines and smooth curves, this Rivelin’s flowing form primed and ready for dappling, with paint or varnish included. Mischievous and full of personality, the Rivelin is sure to become an irreplaceable part of your family. Playful and boisterous, the Rivelin is ready to whisk you off on the most exciting journeys. Pre-assembled rocking horse body plus assembled stand. Body primed ready for dappling. Paint or varnish included; make your horse unique with any colour. 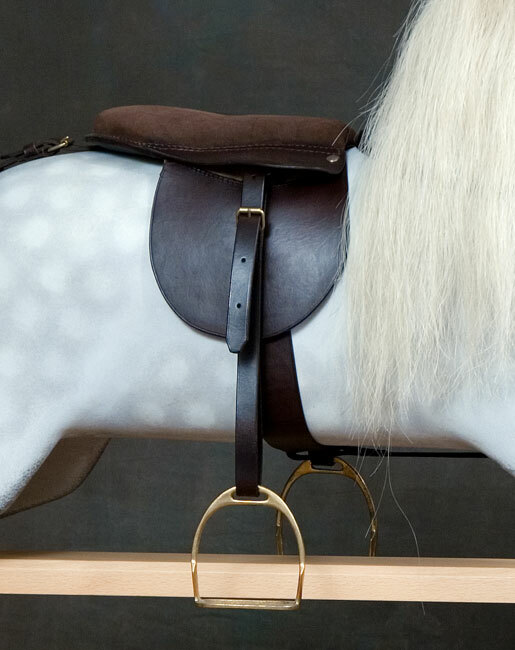 Saddlery, hair and brassware is not included, but can be supplied separately at £245. The most popular rocking horse in the World. With elegant lines and smooth curves, this Rivelin’s flowing form pre-carved and ready for you to make your own horse and stand. Mischievous and full of personality, the Rivelin is sure to become an irreplaceable part of your family. Playful and boisterous, the Rivelin is ready to whisk you off on the most exciting journeys. 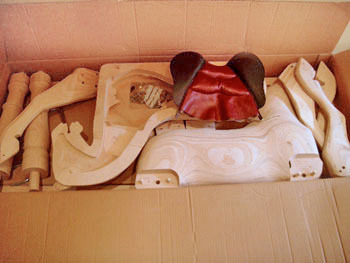 All parts pre-carved for you to make your own horse and stand, pre dowelled and all holes pre-drilled. 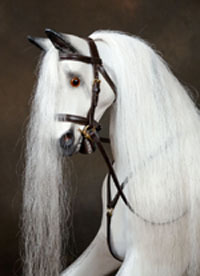 Paint or varnish for your beautiful horse is included. 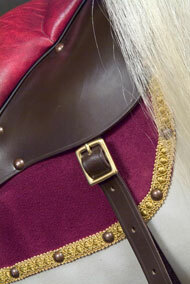 Saddlery, hair and brassware for your kit rocking horse. 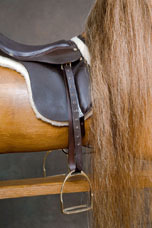 Highest quality loose or fixed (nailed) saddlery and real horse hair. Solid brass stirrups, buckles, brackets, steel swing irons & nails etc. The most exquisite rocking horse you can buy. 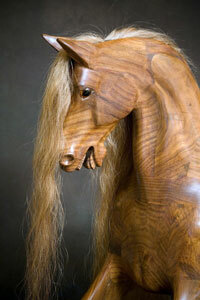 Hand carved in York by one of the country's best rocking horse carvers. 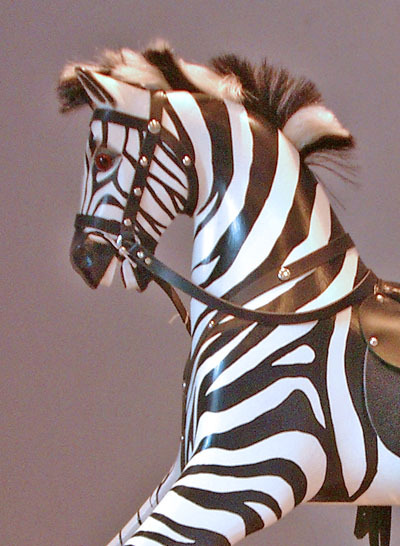 The most exciting rocking zebra you can buy. Unique - we will never make another! 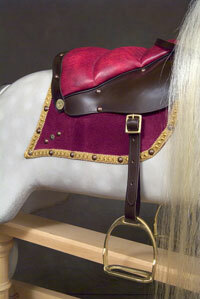 Finest fixed English leather tack. All of our Rocking Horses are available for immediate delivery. For a horse on a bow please add £352 to the price of the horse. 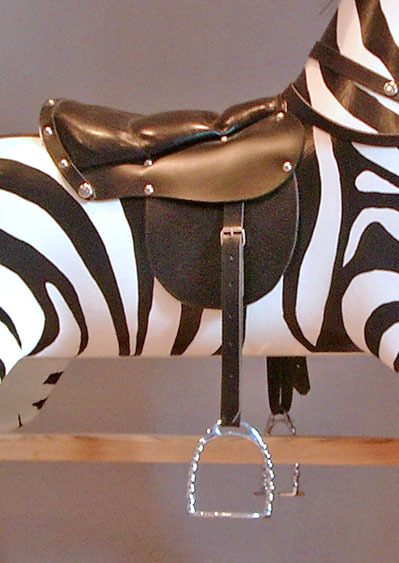 For Silver Plated metal work please add £200 to the price of the horse. 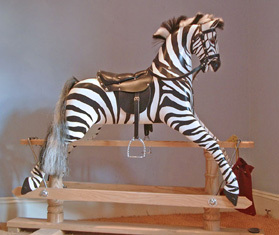 For a double saddled horse with two sets of stirrups for twin riders please add £200. 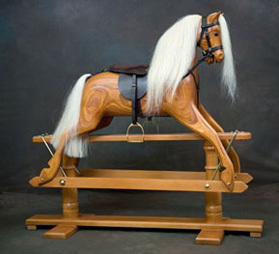 Why you should choose a Ringinglow Rocking Horse. 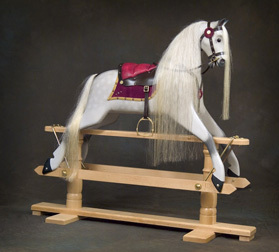 Our wooden Rocking Horses are modelled on the most beautiful traditional Victorian Rocking Horses. We only make use of the finest, driest hardwoods (not pine) for construction, this reduces cracking and means, your horse will last for generations. 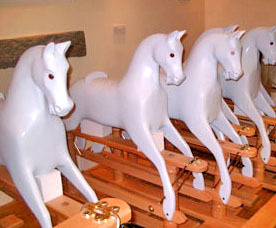 All our Rocking Horses are gessoed in the traditional manner which provides protection for the wood. We are environmentally friendly, and all of our timbers come from sustainable sources. 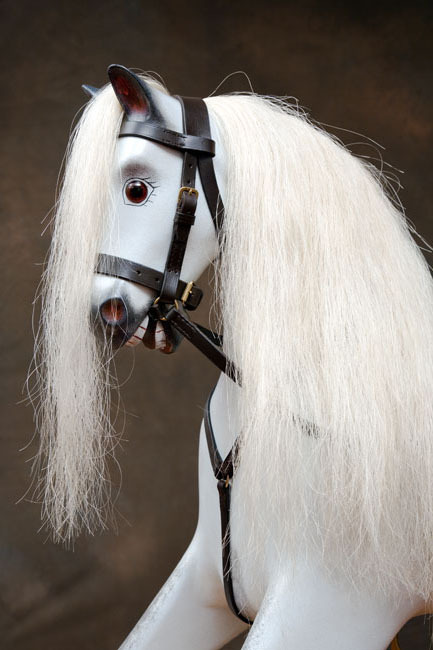 Our Rocking Horses come with complimentary care bags to keep your Rocking Horse looking spectacular. We work up to a standard not down to a price. 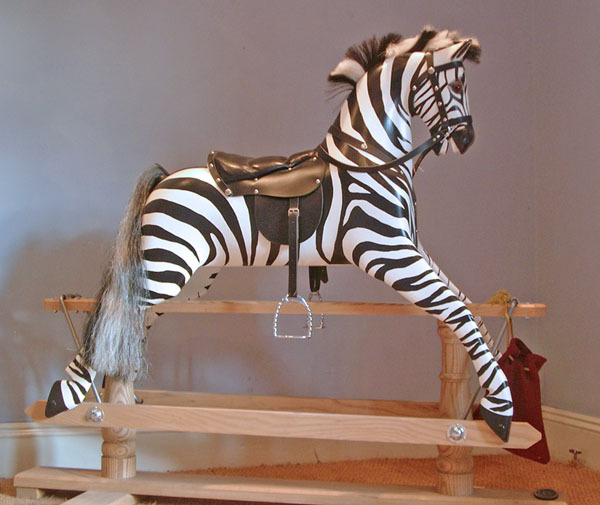 Because we stock other manufacturers horses in addition to our own, we can provide friendly impartial advice on any aspect of Rocking Horses. 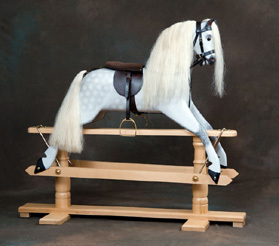 All of our Rocking Horses are hand finished in Great Britain, they are not made in China - as so many others are! In the unlikely event that you experience any problems with your Rocking Horse we are small enough to care, but big enough to cope! 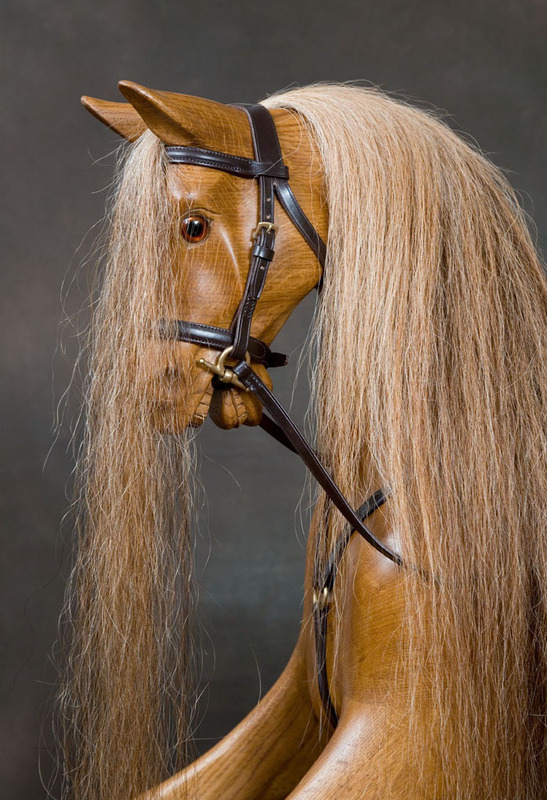 We have a passion for fine Rocking Horses. Our handmade wooden rocking horses are on sale and available for you to buy at many top toy shops in London and around the UK. We attempt to keep our website up to date and accurate, but please contact us by phone or email if you need the very latest information, as we cannot be responsible for any inaccuracies. All prices are subject to V.A.T.